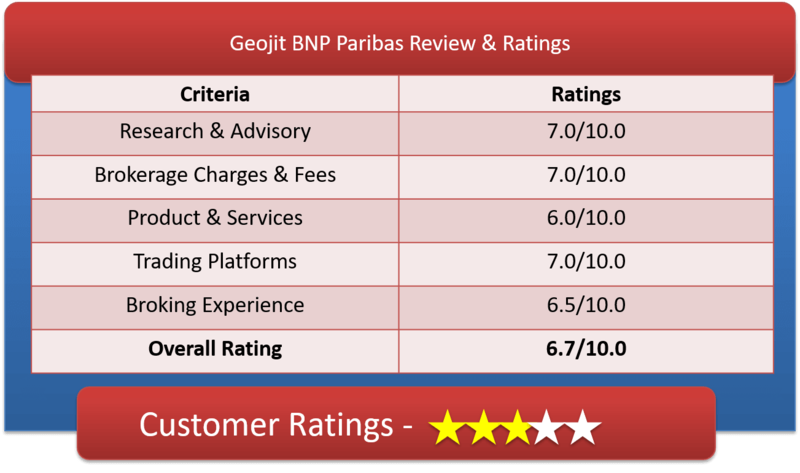 Geojit BNP Paribas is a full service broker with a strong hold in financial service sector, lets us have a detailed Geojit Bnp Paribas review majorly of their stock broking business. The Full Service Broker changed its name couple of times from Geojit Securities Ltd to Geojit Financial Services Ltd and finally to Geojit BNP Paribas Financial Services Ltd in 2009 once BNP Paribas became the largest contributor in the company. On Services, the company as a whole offers a full gamut of savings and investment solutions like Equities, Derivatives, Mutual Funds, Life & General Insurance, third party Fixed Deposits, Portfolio Management services and wealth management. Geojit is both member at NSE & BSE. It is also registered as a depository participant with NSDL as well as CDSL. Geojit is among first few brokerage companies to introduce online trading facilities in India. Geojit has vast presence in Gulf countries. If you are an NRI and residing in the U.A.E, Saudi Arabia, Bahrain, Kuwait or Oman, then you can choose to become an NRI client of this firm. Geojit BNP Paribas is transparent to disclose all its brokerage plans on web unlike other full service brokers like Angel Broking and India Bulls. Geojit BNP Paribas also provides a Call & Trade facility through their call center desk toll free no but not free. On Customer care side, Geojit delivers an adequate customer-care through its multi-channels like internet, telephone & Branch Trading. The needs of more than 800,000 clients of Geojit are covered by a massive network of over 500 offices, phone service, Customer Care Centre and a team of experts always willing to serve. Geojit has its presence in almost all the major states of India. The company’s network of offices presently covers 19 States and 2 Union Territories: Andhra Pradesh, Goa, Gujarat, Haryana, Jammu & Kashmir, Karnataka, Kerala, Madhya Pradesh, Maharashtra, New Delhi, Orissa, Punjab, Rajasthan, Tamil Nadu, Uttar Pradesh, Uttarakhand, Jharkhand, Telangana and West Bengal, Pondicherry and Chandigarh. Minimum Brokerage: The minimum brokerage charged by Geojit BNP Paribas is Rs 20 per Contract or 1 paisa per share whichever is higher subject to a maximum of 2.5% per share. Geojit BNP Paribas Brokerage plan is quite simple and competitive. The broker charges .30% for trading in equity cash, .03% for trading in Intraday and Future. Option trading can be done at Rs 75 per lot. The equity delivery brokerage of 0.30% is much affordable than all the Full service brokers, such as Kotak Sec, ICICIDirect, Sharekhan, HDFC Securities, etc. For Intraday and future traders, the brokerage rate of 0.03% is very competitive that cannot be overlooked. It’s the cheapest in the full service Broker Industry. Intraday Option Trading for just Rs 125 per lot and Rs 150 per lot for Delivery positions with Geojit BNP Paribas is at much higher side. To avail all this brokerage rates, you should have Demat account (compulsory) with Geojit along with trading account. Currency Option and Future trading rates are between Rs 10-15 according to contracts. 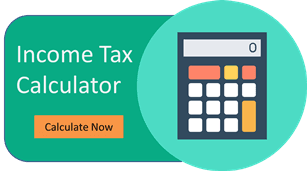 Trading Account Opening Charges – Rs 350. How to open Geojit Paribas Demat Account & Trading Account? As seen with other brokers, Geojit BNP Paribas also provides web based, terminal based and mobile app based trading Platform. The broker replaces its online Trading Platform FLIP with advanced investment platform SELFIE, that allows customers to access the markets by setting up their own market watch, receiving research tips, stock alerts, enable the customer to take informed decisions and provides real-time charts and news. This platform is a virtual-dealer terminal, which is best suited for the active traders, that is, those who take advantage of slight movements in the price. This EXE-program can also be downloaded on the user’s or client’s desktops. It comes with most of the required features for a very smooth trading. This platform is the browser based trading Platform of Geojit-BNP Paribas. It offers among other things of an Advanced Charting platform which enables their user to Trade directly from Charts for example: advanced chart types like Point & Figure, Heiken-Ashi, Kagi, Renko & Line Break, 90 plus Studies & indicators. This feature is enriched with Visualization Engine, F&O Analytics and includes Sector wise heat maps, F&O chains, Option Greeks (theta, delte, gamma, vega, etc.) charting and VWAP Screeners. SELFIE ME is the mobile app for android and iphone devices with all the advanced features like Market watch, real-time update, Dynamic real-time charts, fast order execution, Order Book & Trade Book and also Order placing facility on NSE / BSE. This state of the art Mobile Trading platform empowers clients to trade from anywhere, even while on the move. When it comes to powerful platforms, Geojit securities competes with the best in the industry. The broker has urge to survive in competitive market which is visualized from its latest launches of trading platform with updated features. The brokerage structure is also simple and competitive. The brokerage comes in average range, not too high not too low. Customer Service is one area where broker can work and make it up to the client’s satisfaction. Overall, Geojit BNP Paribas is a natural win for its clients. With its well-rounded offering, casual investors will find the broker to be a good fit. Commodity trading platform is a separate entity.